Apologies for the late publication this week. 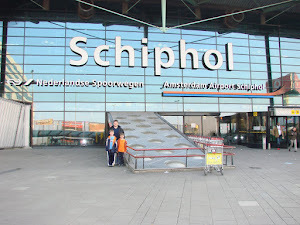 It was all linked to the French Air Traffic Controllers; strike – but that’s another story – oh and my internet down for four days!! I am very grateful to Graham Tomlinson for his help again this week. 1. Any hope of the real working rigs returning in the next year? Some Real Working Rigs will continue in 2015 but currently no new deco is planned. 2. With the release of the Exotic 5 pack, collectors have had a treat. But recently there have been fantasy castings galore. Is there any chance we will soon see some realistic sports cars? 3. The Rapids Rescue thing looks ok, I like to think that the raft might float? If the tractor were to be in more agricultural colours, rather than its 'you can find it in the dark' livery it might be better. However they had a perfectly good CAT tracked tractor in their library of models. Couldn't this be deCATed and perhaps have solid tracks to bring the price down. MB wrote that they had a 'fertile imagination' when describing one model. CAT have a more realistic sense of design and proportion. Still both will have good play value. If we were to use CAT or any other licensed construction or Farm vehicles we could never refresh the deco. That’s because these companies use their own specific brand colors and markings that rarely change. We want vehicles that we can perpetually change to maintain variety on shelf for many years. That is why we create our own designs most of which are kid focused. 4. Some great Lesney's shown this week, have always been a fan of the Rolls-Royce Silver Shadow and Mercedes 450SEL-the original metallic blue version in particular. Such a shame we have neither manufacturer covered in the matchbox series at present, I hope this changes in time. Always amazes me how simply designed the majority of castings from this era of matchbox were. No flashy colours, no added tampo just a well crafted casting and a good combination of body, base and interior colours. 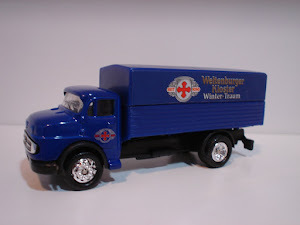 Although other manufacturers of the same era each had there own unique way of interpreting vehicles in 1:64 scale it was the simplicity but precision with matchbox miniatures that seemed to set them head and shoulders above the rest. That combined with the great boxes and artwork really is hard to beat. So many great 1-75's from that era to choose from. Knowing how popular luxury cars are when made as a matchbox are Mattel still keen to pursue a licence to produce a Rolls-Royce for the miniature range? A contemporary model would be most welcomed by collectors though a re-make of the classic Silver Cloud would also make a nice choice. Unfortunately we will not be pursuing Rolls Royce anytime soon. They are not keen on associating their name with toy cars that sell for a buck. 5. My question this week is: What Does Mattel view as the target demographic for the MB core line? Not just "kids" but what age kids if this is the target. Matchbox is focused on the younger aged boy age 3 to 5 but we want our vehicles to appeal to all ages including adults that are young at heart. 6. I see the new SB has the RSQ tampo on it as well. I am not a fan of this new trend of the text message marking on models. The same goes for the Rapids Rescue. This type of spelling is now becoming the norm in our tech literate society so it’s not going away although it may be hard to adapt to. We however are not doing this for the tech savvy, we are doing this to deal with international word translation issues that can occur with the full word “Rescue”. 7. I am trying to teach my grandson of 3 years to read and he is very interested in Matchbox toys. I hate the RSQ and similar mistreatment of the English language because he can't understand what it means. Please stop this as you must know it hits your target audience and causes parents and grandparents problems. 8. I am sensing a tide coming....in society (at least, English-speaking society), toward "simplifying" spelling to make it easier for kids to graduate...reading won't be such a burden and a cause of dismay (that our kids are being "graduated" out of high school at reading levels below their "grade level"). I can see the day when "Fire" becomes "FYR", "Police" becomes "Cop", "Truck" becomes "Truk", "Tracker" becomes "Trakr"....and on and on, and this trend/movement will be tied back to Twitter and Matchbox.....just eliminate those pesky "extra"--er, xtra--letters entirely since they are silent anyway. Refer to answer 28. In addition to this you will find that youth and the ever changing social media frontier are shaping the way we speak and spell. New words are being added to dictionaries on a daily basis especially if it sounds cool. The team does want to stay socially relevant. There is an annoying phrase that we often hear: “Adapt or perish” it will apply sometimes to wording on toys. The next two models are for the main line. 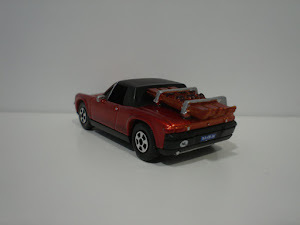 The Honda Ridgeline will be found in a 5 pack. These two Skybusters are recolours. The 1981 miniatures range was significant for two main reasons. 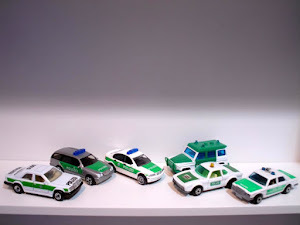 Firstly, there was the sudden exodus of all the military models perhaps due to declining sales or it was felt to be politically incorrect to sell military vehicles to children. I seem to remember that some countries stipulated that they did not want military models from Matchbox at this time and of course this may have given rise to distribution problems, when military models would have to be removed from the shipping cases. I tend towards the latter view as I doubt whether the sales of all military vehicles suddenly took a steep downward trend. Secondly, the re-colouring of a vast majority of the range which we accept as commonplace now but at that time was quite unusual. Indeed, during the 1970s some models existed in the Superfast range without ever being re-coloured. Some military models were no great loss to most collectors: the #30 Swamp Rat and #32 Field Gun for example, but others, such as many of the Two Pack issues, the #54 Personnel Carrier and particularly the #16 Badger, were disappointing departures to other collectors. Indeed it appears the Badger, which was painted bronze and thus arguably much more attractive than the military green painted models, was only deleted at the last moment to fall in line with the decision to rid the range of such military themed models, as it was replaced by a slightly revamped #4 Pontiac Firebird which had only just been deleted a few months earlier! One wonders about the decision making linked to these changes. 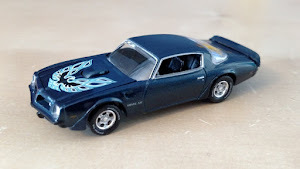 The new #16, which was clearly a Pontiac Firebird despite the name “Firebird” being conspicuous by its absence on the base or packaging, was now painted a light metallic gold shade rather than the original metallic blue and had a completely remoulded front section with an eagle label on the bonnet, a red interior and unpainted metal base. 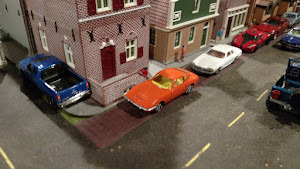 The name of the model was on a raised platform: “No.16 Pontiac”, to hide the previous “No.4 Pontiac Firebird”. The glass was now clear rather than amber but was exactly the same otherwise, as were the wide dot dash wheels. After a short while the body colour changed to a brighter gold-green shade, and the eagle label remained until the last issues of the gold-green model had a tampo printed eagle instead. Rare examples of the gold-green model with eagle label have 5 arch wheels in place of the dot dash variety. In 1982 the model was repainted white with a blue printed eagle tampo and side stripes, with “Pontiac” in black to each side. Curiously the name appears centrally or toward the front in roughly equal numbers! Rarer examples come with purple rather than blue print, and a tiny handful were produced with 5 arch wheels. Later editions can be found with the base painted silver and these are easy to locate. Another unusual white model is that with the raised platform on the base, as this was removed to erase the number in order to read simply “Pontiac” very shortly after the colour change, so that white models with the platform and “No.16” still present are very few and far between. In 1983 the colour changed to black, but in fact the model was now an altered version having a cut away roof with only the windscreen and a central strip remaining, known as a Pontiac “T” Roof, and in the USA this was introduced as #35 in 1982, so whilst it became #16 in the UK in 1983 it was in fact a slightly different model, so that the original Pontiac only lasted in the range for a paltry two years, a further indication that it was only introduced to do away with the Badger! The T Roof is shown in the USA 1982 catalogue with a beige interior, but in reality it maintained the red interior of the original #16. It had yellow tampo print, and like the white version can be found with an unpainted or silver painted metal base. Production then shifted to Macau, the base was now painted pearly silver, and a well known UK promotional model was made for Kelloggs with the black body but orange tiger stripes to promote “Frosties” cereal. During 1986 the body colour was altered to silver with red and yellow tampo print, but the following year the model was deleted in favour of the very popular Land Rover 90. Both 80’s castings of the #16 Pontiac were produced in Bulgaria in a multitude of colours! Apologies for the poor photo of the Brazilian 4 pack. A very British release in 1981, and in fact not released in the USA, was the #8 Rover 3500. This is shown amongst the new releases section in bright yellow with a red interior, and is often described as a pre-production model in this guise. 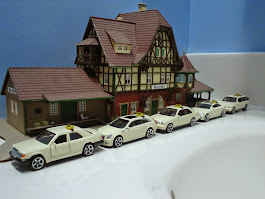 However a small quantity of yellow models were packed for retail sale in the G-1 Car Transporter gift set, so whilst very rare, it is technically speaking not a pre-pro, even though it was never sold as a single miniature. The same mistake applies to another 1981 release, the #38 Camper, which was made with amber windows in the rear section only for a very short while, but quite a significant number found their way into USA blister packs prior to the rear window section being deleted, so again this is definitely not pre-production! True pre-production Rover 3500 models can be found in silver with different colour interiors, and also in an extremely unusual blue colour. Originally it was planned with an open sun roof but late in production it was decided that further play value would be created by replacing the open sun roof with a sliding plastic roof and the mould was altered to enable this change to take place. The earliest Rovers showed No. 70 cast into the detailed plastic base. The Rover was ultimately released in production quantities in bronze and this does vary from quite a light bronze to an intense dark bronze. The wheels were narrow dot dash, the interior beige, which can be light or dark in shade, and the windows clear. Somewhat controversially, the Rover was given a black plastic base. 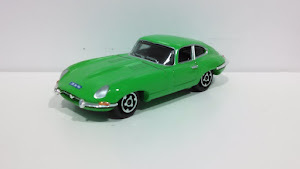 The fact that this model now had an opening black plastic sunroof and a body moulded with quite thin metal meant it was extremely light, which was not popular with all collectors then, although it was undoubtedly attractive. (Maybe they should have counted their blessings!) 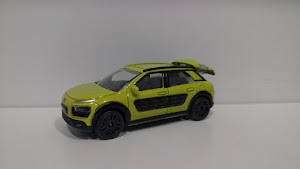 There are a number of rare variants with this bronze model including those with white interiors, those with narrow 5 arch wheels found with both interior colours, wide dot dash wheels on beige interior models, and even Maltese cross wheels, again found on both colour interior variants! All these rare variations are becoming increasingly difficult to locate. In 1983 the Rover was converted into a Police Car in white with a yellow and black tampo print. This meant the sunroof was deleted in favour of a raised metal platform with two roof lights protruding through the roof as they were an extension of the window moulding, now in blue, and a chrome plastic horn mounted between the lights. The interior remained beige which did not really match well with the blue windows. However, initial releases, still maintaining Lesney England bases, were extremely unusual as they had the clear windows from the bronze version, which meant the roof lights were also clear! The interior was also beige on this version which is a very desirable variant, though there are equally desirable versions of the standard blue window release: those with black interiors (with much darker blue windows) and even rarer with a white interior which is a much better look. One further rare model is the Rover without tampo in plain white. The wheels on these Police Rovers were narrow dot dash as standard, though they can be found with wide dot dash or narrow 5 arch in extremely small numbers on the beige interior versions. 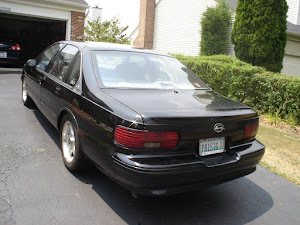 Later models had a black plastic horn rather than chrome, and by 1985 the base was altered to read “Made in Macau”. In 1987 the tampo print was altered to a red and blue Police livery, with wide or narrow dot dash wheels, but this was extremely short-lived as later that same year the Rover was deleted in favour of a Vauxhall Astra Police Car. The #34 Chevy Pro Stocker replaced the Vantastic, and was released in white with a blue tampo print “34” and a red lightning symbol, a red interior, clear windows and an unpainted metal base. However, this model had an interesting history. 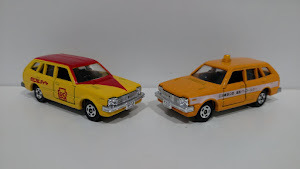 It is well known that licenses can take months or even years to be issued and sometimes Matchbox would take a chance by producing a model in the hope that permission would be granted during the production process. One of the popular American racing cars at the time was this Pro-Stocker with green and red “Gatorade – Thirst Quencher” livery advertising an orange drink and featuring a No. 88 on the body. Matchbox believed that this model would sell well but unbeknown to them, Ertl had already secured the licensing rights with “Gatorade”. Thus, Matchbox was refused permission to produce the car with this design. Lesney changed the design to “Lightning” and even ordered the first run of boxes for this model. However, Gatorade still felt that the design was too similar to the Ertl car and requested a further change. The green print was changed to blue and the number 88 was altered to the model No. of 34. Even the base had to be altered from Chevy Nascar and a recessed filler cap on the side of the body erased. Curiously, the Gatorade lightning symbol was retained! The car with 88 tampo printing is one of the easier to find pre-pros and in fact a far rarer pre-production model exists in orange, with the tampo print in blue “88”, and the name “Gatorade” present on the bonnet! The white production model came with 5 arch front wheels and 5 crown rear, but this is another of those models where the wheels were placed incorrectly relatively frequently. It can be found with all 5 arch, all 5 crown, or 5 crown front, 5 arch rear. 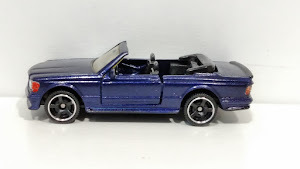 When the model was produced with a silver painted base, the wheel variations continued, though they are slightly tougher to find on the silver based versions. One especially rare version is that with small wide dot dash wheels! 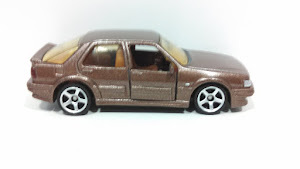 Not only did Lesney mix wheels with this model, they also had issues with the tampo print! It is possible to find examples with no side tampo but only that running across the top, or tampo missing on just the left side or right side! One desirable and very attractive early issue of the Chevy is the tampo-free plain white model which commands a serious premium. The last white issues came with a red painted base, and again the issue with the wheel variations continued! However this model is unique in one respect: it still retained a Lesney England base. The #62 Chevrolet Corvette and #40 Chevy “T” Top were also given red painted bases, but only after they were transferred to Macau production. This was a seamless transition, all plain and silver based #62 and #40 have England bases, all red bases are Macau. The red based Pro Stocker was only produced in England! In 1983 the #34 was transferred to Macau production, at the same time the colour was changed to dark yellow with a black interior, black and orange tampo and a black metal base. The model also received an unwelcome facelift, with a large air dam being added to the front of the base, and a tail fin sprouted from the rear of the body. A similar fate would befall the new #52 BMW M1. Shown in the 1983 catalogue with large dot dash rear wheels, it in fact was produced with the same correct configuration as the white model, though a significant number were also produced with 5 spoke front wheels. In 1984 the colour scheme was altered again, back to white with a red interior, but now with a “Pepsi” bonnet logo and “14” and red stripes to the sides. The base remained black, and again some were fitted with 5 spoke front wheels. During 1985 this model was used in new “Team Matchbox” sets, comprising a transporter vehicle, a Chevy Pro Stocker and a support vehicle. 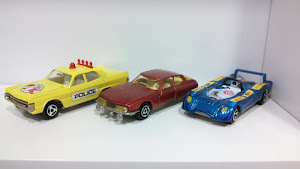 One set used the same “Pepsi” vehicle from the miniature range, with a #68 Chevy Van with Pepsi livery in support, another set used the Chevy with “217” tampo print and a #58 Ruff Trek in support. In 1986 a new set again included the Chevy, now with black, green and red “7 Up” livery, again with the Ruff Trek in support. The Chevy could be found with a black or red interior, and the black interior was by far the harder to locate of the two. During 1987 the Chevy as a miniature was deleted in favour of the Ford RS200, though two of the three Team Matchbox sets with the Chevy survived into 1988. By 1989 however these sets were renamed “Team Convoy” and the Chevy was nowhere to be seen. A particularly beautiful Lesney release was the #52 BMW M1. Shown in the 1981 catalogue new releases section in white, this was in fact a pre-production model. Pre-production models in black with white interiors can also be found and are especially attractive. 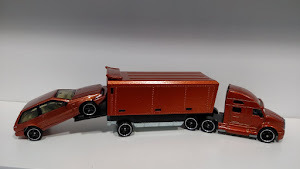 In reality the production model was released in silver, with clear windows, a red interior which can vary in shade, wide 5 arch wheels and gloss black metal base. In stark contrast to the #8 Rover, this model was a very good weight, being moulded in very sturdy fashion. Initially this model was in plain silver which is fairly difficult to locate, though quickly a black “52 BMW” tampo with stripes was added to both sides. The base can also be found in charcoal or blue-grey, and the windows can be found with a smoked effect, which are almost exclusively found with the charcoal base. The only genuinely rare silver models with tampo print are those with amber windows, and even rarer with highly unusual but very pleasing green windows! The amber shade is very deep, so do not be fooled by versions where the clear windows have discoloured to a pale amber shade due to temperature fluctuations over the years. The green windows can be found on models with black or charcoal bases, but numbers are insignificant so be prepared to pay a significant premium to own one! The silver version shows a rejected idea for the tampo. Unfortunately in 1983 Matchbox International chose to completely alter the mould and turn the BMW into a Le Mans style model. This meant the addition of an air dam, side skirts and a tail fin, and the base was altered to black plastic with “Made in Macau”. The model was now white with blue, red and black tampo print, and the interior black, though the red plastic rear light strip from the silver version was maintained, as were the wide 5 arch wheels. The model was still attractive, but not a patch on the original, and the large tail fin caused significant issues in regard to the even paint spraying of the model: often these Macau issues are found with poorly sprayed rear sections, sometimes with virtually bare metal in the inner recesses. In 1985 the colour was changed again, now to black, with red and white tampo, and the interior reverted to red, which was a good look, but the very next year, 1986, the colour changed again to yellow with a blue interior, still with a red and white tampo print, but this yellow body version was not an improvement. In 1988 the model had yet another colour alteration, now to red with white, blue and orange tampo print and maintaining the blue interior. After a full decade in the range, admittedly with an early major makeover, the BMW was finally deleted in 1991 in favour of the Isuzu Amigo. The new #70 for 1981 was the Ferrari 308GTB, released unsurprisingly in Ferrari red. Pre-production models can be found in green and are actually perhaps more attractive and very unusual, if inaccurate in terms of authenticity. Pre-production models in production red can be found with a beige interior, and pre-production models with the standard black interior can be found with “No.8” on the base, indicating it was originally planned to hold the position eventually given to the Rover and vice-versa. The production model had clear windows, wide 5 arch wheels, and the black interior. Rather than have a black stripe round the model by virtue of tampo print, Lesney chose to mould the model so that the interior extended outward and formed the stripe. This meant moulding the metal base so that it also formed a significant part of the lower body. As a result both body and base were sprayed the same colour, but because this was not done simultaneously, often the shades did not match! Sometimes the paint was distinctly orange-red, and the base was more often the lighter shade. Originally plain, after a short while black tampo print was added, first adding a large Ferrari emblem at the front, later adding “Ferrari” to both sides. On occasion the emblem was missed off examples with the side tampo still present. Even rarer are examples with dot dash wheels, or dark amber windows, both of which were produced in tiny quantities. An interesting promotional Ferrari was released in 1988. A Canadian company called “Data East” manufactured arcade games and decided that a Matchbox Ferrari would feature in one of their pin ball machines with the company name prominently shown. The game was called “Secret Service” and was based on a spy thriller theme. In order that the model could not move inside the machine, the mould had to be adapted to enable a screw fitting to take place. By 1983 the decision was taken to re-colour the base silver, to eradicate the uneven body to base match of some all-red models. The moulds for this model were shipped to Macau during 1983, and here the red shade of the body became significantly darker. Also, after a short while of Macau production, the wheels were altered and old style 5 spoke wheels were fitted instead! In 1985 the model was partly recoloured: the body remained red, though in a brighter shade, and the base became blue! The interior became white, and 5 arch wheels were reinstated. The tampo print was now a racing design in blue and white. A Ferrari F-40 replaced the 308GTB in 1989. The very rare BP model is shown together with a few other variations.